This monitoring receiver is designed for capturing of signals, for spectro analysis as well as for recording of received signals. It covers a range of 0,005 to 3335 MHz at a frequency stability of +/- 0,05 ppm at 25°C. PKI 4380 is appropriate for professional use and also allows reception for P25-digital modulation. 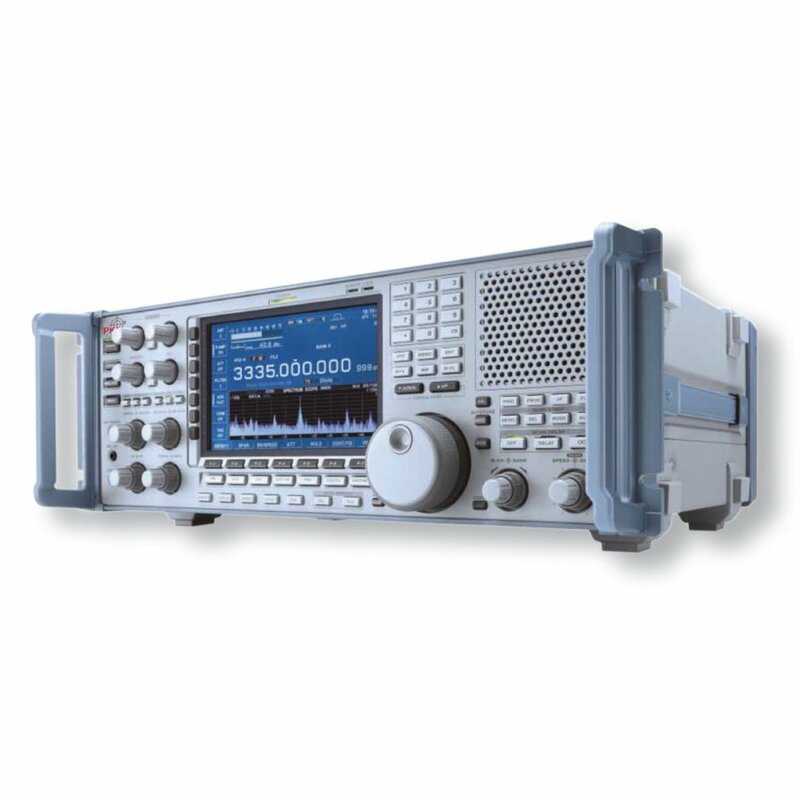 The multifunctional spectrum scope allows scanning between two constant cut-off frequencies. Due to its numerous features this device is absolutely exceptional, especially e.g. the roofing filter, a digital ZF-filter, a 2-point-notch-filter, a FSK-speech synthesizer, a multi-scan-function etc. PKI 4380 is equipped with USB-socket for external storage on external USB-devices. Transfer of captured NF-signals and configurated data files from the receiver resp. from a PC is possible. Upgrades are effected by USBmemory. PKI will be pleased to submit offers for interception receivers up to 12 GHz on request.